One Easter Sunday morning, a pastor came to the Church carrying a rusty, bent, old bird cage and set it by the pulpit. Several eyebrows were raised and, as if in response, the pastor began to speak. "I was walking through town yesterday when I saw a young boy coming toward me, swinging this bird cage. On the bottom of the cage were three little wild birds, shivering with cold and fright. I stopped the lad and asked, "What you got there son?" "Take 'em home and have fun with 'em. I'm gonna tease 'em and pull out their feathers to make 'em fight. I'm gonna have a real good time." "Oh, I got some cats. They like birds. I'll take 'em to them." "Huh??!!! Why, you don't want them birds, mister. They're just plain old field birds. They don't sing – they ain't even pretty!" The pastor reached in his pocket and took out a ten-dollar bill. He placed it in the boy's hand. In a flash, the boy was gone. Well, that explained the empty bird cage on the pulpit, but then the pastor began to tell this story. "Oh, I'm gonna have fun! I'm gonna teach them how to marry and divorce each other. How to hate and abuse each other. How to drink and smoke and curse. How to invent guns and bombs and kill each other. I'm really gonna have fun!" "And what will you do when you get done with them? ", Jesus asked. "How much do you want for them?" "Oh, you don't want those people. They ain't no good. Why, you take them and they'll just hate you. They'll spit on you, curse you and kill you!! You don't want those people!!" Satan looked at Jesus and sneered, "All your tears, and all your blood." Jesus paid the price. 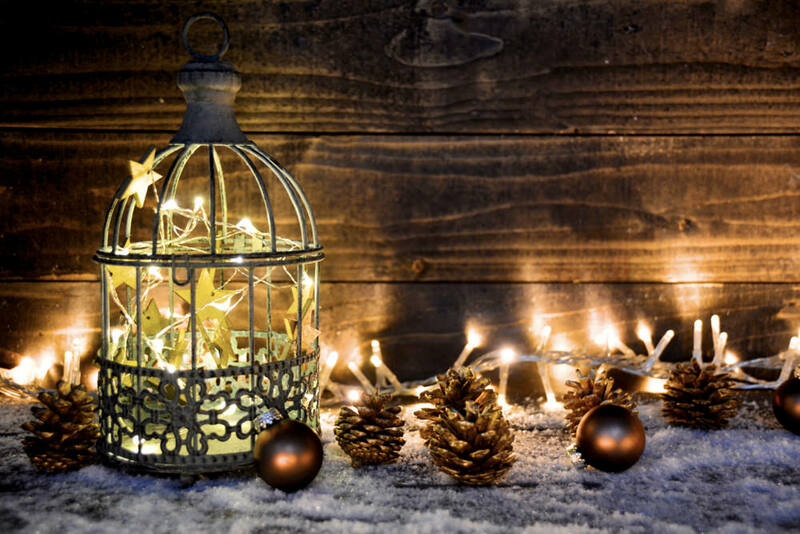 With the congregation quietly and intently watching, the pastor picked up the rusty, bent, old bird cage made his way off the pulpit, walked down the center aisle to the front doors of the Church, turned around and in a hushed voice said “Merry CHRISTmas” and left the congregation sitting there pondering the story he had just told. I have found over the years that many of the Churches we’ve attended on Christmas Eve have tried to find new and elaborate ways of portraying the Christmas story in an effort to wow the congregation. It’s as if there is a need to make a large production out of the story to capture the audience’s attention. I love the simplicity of the bird cage story. In a simple manner, it speaks to all of us as to the original meaning of Christmas. It reminds all of us of Christ’s birth and for Christians around the world it is a celebration that their savior was born which is the cornerstone of their religious beliefs. And so friends, as you celebrate this Christmas season, whether you are of Christian faith or others, Kathy and I wish you the warmest of seasons with your family and friends and the comfort of knowing that you are cared for.